Pole dancing is an amazing all-over body workout that will develop your strength, grace, co-ordination and musicality. Don’t worry if you’ve never danced before or if you don’t think you’re strong or co-ordinated – it all comes with practice! We welcome all levels of pole dancer, from complete beginners to advanced, learning a great range of spins, flow, tricks, combinations and floorwork in all kinds of styles. Aerial hoop, also known as lyra, is an incredible circus art that involves making beautiful shapes and poses under, in and on the hoop. Our fantastic instructors will guide you in everything, supporting you from your very first time getting into the hoop right up to elite level. Aerial hoop combines grace, strength, flexibility and power to give you a fitness experience you’ll never forget – try something new today! Aerial silks, also known as tissu, is a jaw-dropping circus skill that involves creating beautiful shapes using the fabric. You’ll be taught personally by Emily, the most experienced silks teacher in Swindon. Emily loves helping everyone to shine, from complete beginners to more experienced silksers. Whatever your ability, you can achieve things you never thought you’d be able to do. 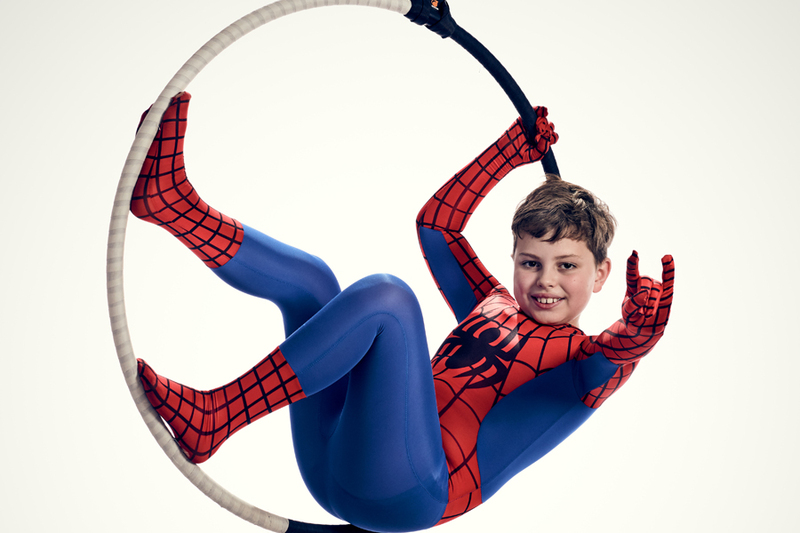 We offer aerial hoop and aerial silks classes for children! These classes are a great work out for kids, it challenges their co-ordination and focus as well as developing strength and flexibility, all while letting them climb and hang upside down just like circus performers! Classes are available for children aged 5-9 years old, and older children aged 10-15 years old. We are open all year round! We teach 50 out of 52 weeks a year including bank holidays, which means that if you have a class on Mondays then you won’t miss out! This also means that we run all kids’ aerial classes during school holidays! Emily’s Pole Fitness is the only PDC approved school in Swindon. This represents the highest level of professionalism and teaching quality within the pole industry. Emily is well-known and respected within the pole industry – she has placed in many competitions and performs on a regular basis. She has been teaching since 2006, and loves her students. Teaching and safety standards are very high at Emily’s Pole Fitness, her instructors were chosen by Emily and are the best instructors you could ever ask for. They all train hard to deliver top quality lessons to all of their students. You will learn each move step by step and work at your own pace. There is no pressure when learning with Emily’s Pole Fitness: the aim is to keep fit and have fun!